Although tax season has come to an end and most taxpayers will breathe a sigh of relief, many others are faced with a tax assessment they did not expect. Truth be told, taxpayers should not be surprised if SARS has disallowed their tax exemptions, adjusted their tax deductions and/or raised additional taxes on assessment. More importantly, taxpayers should become familiar with the tax dispute process and comfortably contest an assessment they deem incorrect. This note outlines 5 tips to consider before commencing with any dispute. Please bear in mind, however, that this note does not constitute professional advice and we always recommend that taxpayers with more complex or higher value disputes seek the advice of a reputable tax attorney. 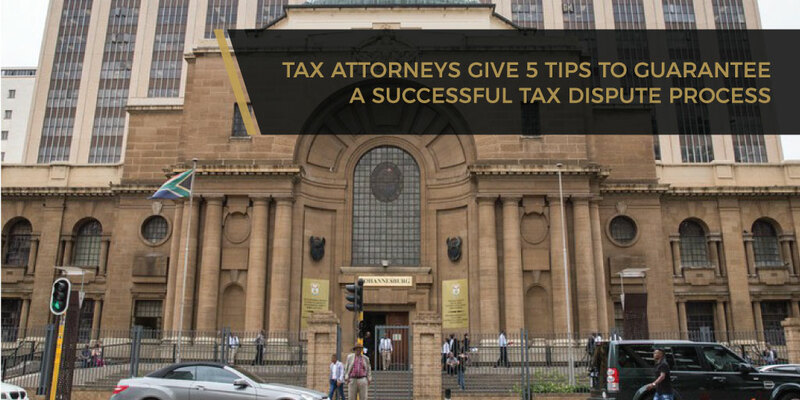 Consider asking SARS for reasons – Before commencing with an objection, a taxpayer is entitled to request SARS to provide proper reasons for the assessment. Reasons allows the taxpayer to understand the assessment and more easily formulate an objection. Always remember to include a suspension of payment – An objection does not automatically suspend the taxpayer’s obligation to pay tax. A suspension of payment is needed and should be filed before or simultaneously with the objection. An objection needs a good cover letter – The objection form may be too brief to properly explain why the taxpayer is contesting the assessment. A cover letter is a brief submission of the taxpayer’s claim, setting out their grounds of objection, the amount contested, and legal argument. Documentation is a must – The taxpayer bears the burden of proving any amount or transaction is exempt or otherwise not taxable. SARS requires documentary evidence with an objection to prove any such claim. SARS to respond to an objection within 60 days from date of the objection.